If you are an adventure lover then the stiff hilly slopes and rugged terrains of the Himachal have lots to offer to you. The Melting ice from the snow-capped peaks of Shimla and Manali also gives rise to many gurgling rivulets and rivers that widen the scope and prospects of the adventures you could enjoy out there. From ice skating to river rafting to trekking and even Para-sailing are some pulse-racing ones you could enjoy. Both Manali and Shimla are extremely popular among tourists worldwide for their hilly geography influenced by the Himalayas. Both these famous hill-stations are based in Himachal Pradesh and offer a variety of adventure sports for visitors looking for quenching their adrenalin thirst. Read on to find out more about the various adventures you can indulge in while Touring Manali and Shimla. 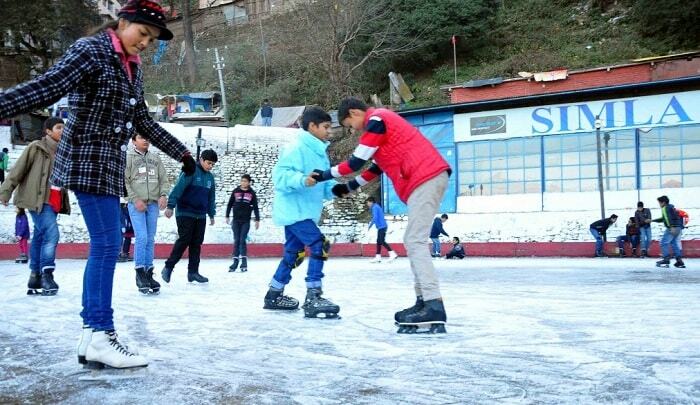 The ice-skating rink in Shimla happens to be the ‘largest open-air’ arena that offers ‘naturally frozen’ ice to the skaters in this side of the globe. This ice-skating club is through with its ‘Diamond Jubilee’ celebrations. You can enjoy skating between early December and February every year. The low temperatures and clear skies provide the ideal conditions for uninterrupted skating sessions. One of the most sought-after adventure sport is trekking and Shimla makes way for this sporting activity with its geographic mountain inclination facility. The Himachal Pradesh Development Corporation (HPTDC) offers equipments, guidance, hospitality and camping facilities to the trekkers for smooth and efficient trekking. Naldehra, which is located at a height of 2,044m above the sea level and lies 23km away from Shimla. Narkanda, which is 2,700m above sea level and lies 64km from Shimla. Chharabra, which is 2,953m above sea level and stands 13km from Shimla. For trekking in the Himalayan region, you will always have to start with Manali. 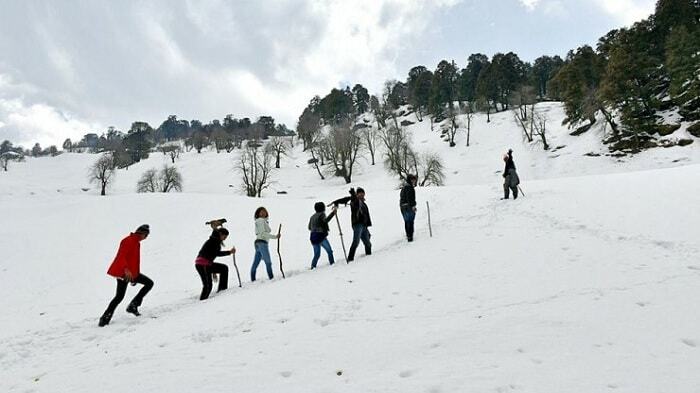 Be it a short day-trip or the longer over-nighters that includes porters, cooks, guides as well as mule trains, you will find everything that you need in Manali. Famous options for trekking in this region include Pin Parvati, Hampta Pass, Chandrakhani Pass, Malana and Friendship Peak among others. Rappelling, zip lining and river crossing are also organized during summer in Manali for the trekkers. The Kufri ski resort is the most accessible one in the northern part of India. It is situated at 10km distance from the main town of Shimla and is popular for the snowfall and ideal conditions it offers for skiing in the winter time. Narkanda, another skiing spot, is located at 64km from Shimla and happens to be one of the oldest ‘ski resorts’ in India. 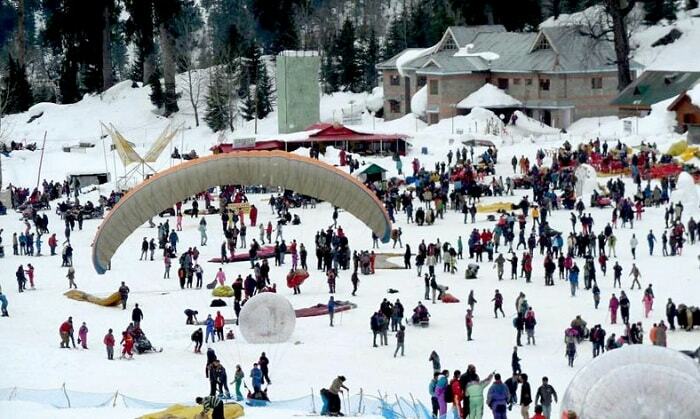 Standing at 8,100ft above sea level, Narkanda attracts ski lovers from the first-timers to the advanced level ones. Solang Valley is an apt place for skiing in the Manali region. This place offers more than just skiing to adventure lovers with options of horse riding, sleigh riding, rubber-tube rides and snowball fights. The summer months in Solang Valley offer Zorbing and Parasailing options too with the perfect climatic conditions for such adventure sports. While in Manali do not forget to visit Solang Valley if you are in for adventure. Both Shimla and Manali are hilly regions with mountainous rivers flowing by them. While Sutlej flows by the town of Shimla, Manali is guided by the mighty Beas. River rafting option includes fighting the waves and current of these wild, torrent mountainous rivers on a ‘inflatable rubber’ based dinghy. Monsoons and winter are not at all good for this adventure sport. For ‘white water rafting’ in Shimla, you will start from Chabba and reach Tattapani (12km distance) in two hours’ time, challenging the aggressive and risky waters of Sutlej. Beas too offers similar rafting facilities in Manali region. With all these adventures for adrenalin rush, you will have nothing to worry about while you are in Himachal Pradesh.